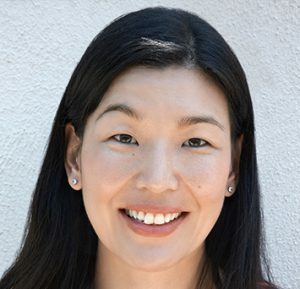 Ai-jen Poo is a 2014 MacArthur fellow and was named one of Time 100’s world’s most influential people in 2012. She began organizing immigrant women workers nearly two decades ago. In 2000 she co-founded Domestic Workers United, the New York organization that spearheaded the successful passage of the state’s historic Domestic Workers Bill of Rights in 2010. Together with 11 other organizations, DWU launched the National Domestic Workers Alliance in 2007. After noticing an increase in the number of domestic workers originally hired as nannies and housekeepers being asked to provide home care for their employers’ aging relatives, Ai-jen co-led the launch of the Caring Across Generations campaign in 2011 to ensure access to affordable care for the nation’s aging population and access to quality jobs for the caregiving workforce. Ai-jen serves on the Board of Directors of Momsrising, National Jobs with Justice, and Working America. She is a 2013 World Economic Forum Young Global Leader, one of Fortune.com’s World’s 50 Greatest Leaders, and author of The Age of Dignity: Preparing for the Elder Boom in a Changing America.